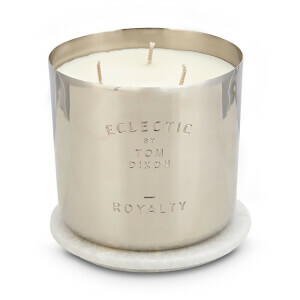 Add a touch of indulgence and luxury to your home with the ‘Alloy’ scented candle from Tom Dixon’s ‘Materialism’ range. The warm, woody fragrance has been created exclusively for the brand and holds undercurrents of a cooler metallic note, housed perfectly within its aluminium vessel. The gravity cast structure has been crafted in a steel mould and comprises raw edges that have been machined smooth, with sand grains and tool marks still visible. 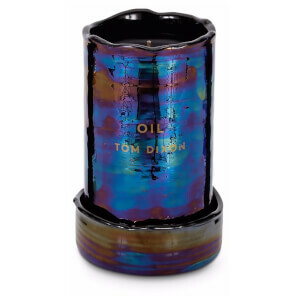 Tom Dixon branding is embossed on the metal. 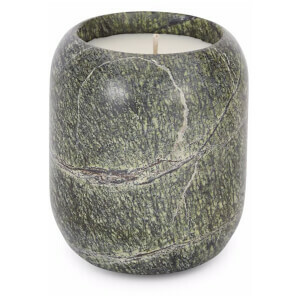 The inside of the casing is lacquered to allow further life as an ornament after the candle has been used.